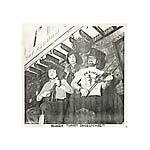 Although nearly 60 people have played in Pig Rider or its various offshoots over the years, there have only been two ever-present members, Colin Kitchener and John Mayes, who founded the band at Sevenoaks School in Kent, England, in the late '60s. They met when they were 12, and not long after began haunting the music rooms at the school to hammer out current three-chord pop songs on pianos. 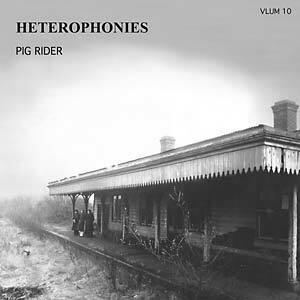 They went through a number of other names (including D Jabferg Flossyakkit and Bob Scratch and His Country and South Eastern Spring Blues Band), before deciding to perform as The Pig Rider Robinson Heterophony. After a failed attempt to build a seven-foot robot bassist called Peregrine Robinson to front the band, the name was abbreviated to its current form. Pig Rider's music has been described as "joke folk/mock rock," and although they claim that their minds were only altered by beer, there's a real psychedelic element to it, not to mention their pioneering DIY spirit. They recorded at home with rudimentary equipment, used handmade modified instruments, and self-released a series of acetate-only albums housed in primitive, handmade sleeves. 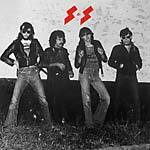 Heterophonies was originally pressed by the custom label Deroy Sound Service in a private edition of five acetates in 1975. The music is an amazing mix of psychedelic electric folk, acid folk, and twisted pop with funny and bizarre lyrics, tape experimentation, effects, and a homemade, stoned atmosphere. Think The Incredible String Band, The Bonzo Dog Band, Syd Barrett, R. Stevie Moore... In 2009, a review of Heterophonies appeared in the Galactic Ramble book. 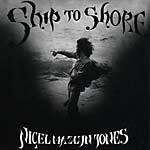 Richard Falk wrote, "Heavy, lo-fi, electric folk with lots of weird electronic effects and a distinctly psychedelic atmosphere." 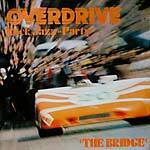 That review incited French collector Alexandre Mansuy to track down the band in 2013. "What I was on the point to discover was way beyond my wildest dreams. 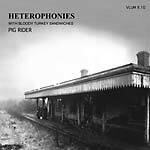 Heterophonies was only one of their many, many great recordings." 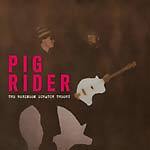 Thanks to Mansuy, Guerssen and Sommor present a comprehensive Pig Rider reissue campaign, which began with The Robinson Scratch Theory (GUESS 058CD/145LP), a compilation of their jaw-dropping '80s stuff. The series continues with first-ever reissues of two of their rarest acetates from the '70s: this edition of Heterophonies and a reissue of Bloody Turkey Sandwiches (SOMM 023LP). Both acetates are also available as a combined CD reissue (SOMM 023-24CD). Includes insert with photos and lyrics. Master tape sound. Limited to 300 copies.